Looking for a great shandy to drink all day in the hot sun…here it is. 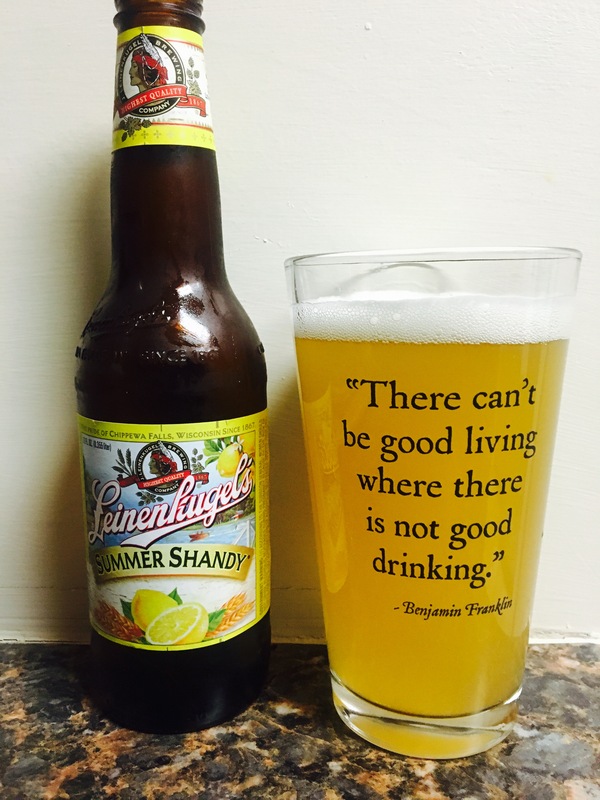 Leinenkugels summer shandy hits the spot, light, tasty and refreshing. The Alc content at 4.2 allows you to enjoy it all day long. The lemon taste is perfect for a hot summer day to remind you of lemonade..for adults! 4 stars.